Mark Rayner shows you how easy it is to turn an old wooden kitchen chair into a piece of stylish outdoor patio furniture – the ideal project with summer around the corner. 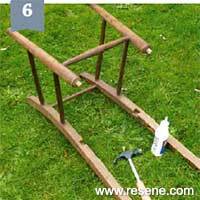 You will need: An old wooden chair, paintbrush, exterior PVA glue, a clean cloth, sandpaper, exteriorwood filler, hammer, screwdriver, stainless steel screws and galvanised nails. 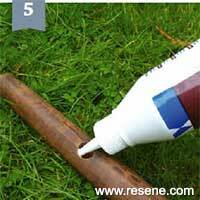 Resene Quick Dry and Resene Lustacryl tinted to Resene Relax. Top tip: When converting indoor furniture for outdoor use, always ensure it’s made from wood or other weatherproof materials such as plastic or non-rusting metals. Indoor materials such as MDF, untreated plywood and other particle boards may quickly deteriorate – even if painted. Some previously painted or varnished surfaces may need to be completely stripped back or primed with a different Resene product. 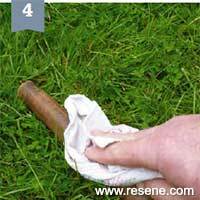 If in doubt, seek advice from your nearest Resene ColorShop. 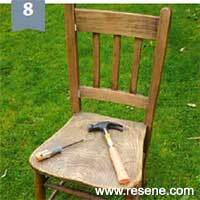 Remove any screws and gently disassemble the chair, tapping with a hammer if necessary. Take care not to split the wood. 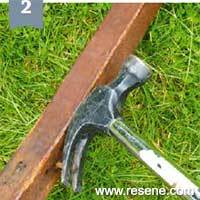 Remove any nails using a claw head hammer. Again, take care not to damage the wood. 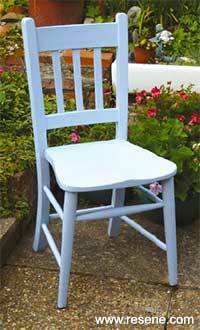 Lightly sand the chair pieces. 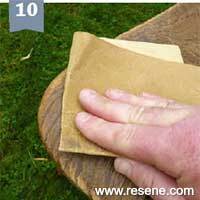 Wipe off any sanding dust with a clean cloth. 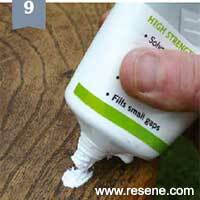 Apply a generous amount of exterior PVA glue to each of the chair joints and begin to reassemble. Continue reassembling the legs and back of the chair, fixing each joint with PVA glue. 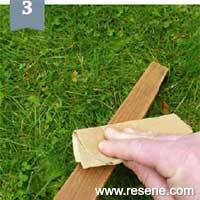 Gently tap with a hammer, if necessary, to ensure joints are firmly in position. Place the seat in position, fixing with PVA glue. Replace any original screws and nails with stainless steel screws and galvanised nails. 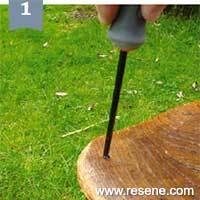 Fill any holes and gaps in the chair with exterior wood filler and allow to dry. 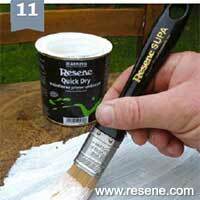 Lightly sand the filler and wipe off any sanding dust with a clean cloth. 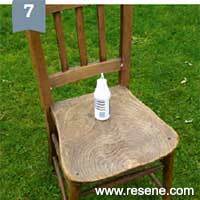 Apply one coat of Resene Quick Dry to the chair and allow two hours to dry. 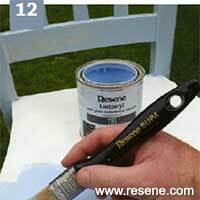 Apply two coats of Resene Relax to the chair, allowing two hours for each coat to dry.